Passover is rough on JSL. Most of the foods he likes eating aren’t allowed so he becomes even more restricted than normal. 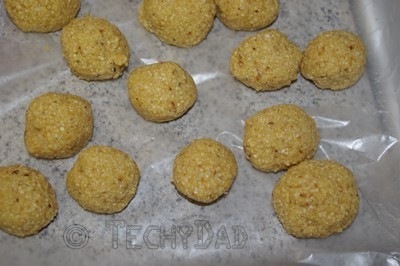 Given that one of the foods that he loves are matzoh balls, I figured we’d make some. 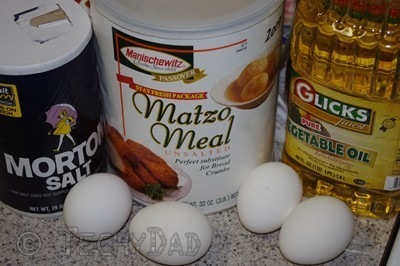 First you start off with your ingredients: 1 cup matzoh meal, 2 teaspoons of salt, 4 tablespoons of vegetable oil, 4 eggs, and 4 tablespoons of broth or water. 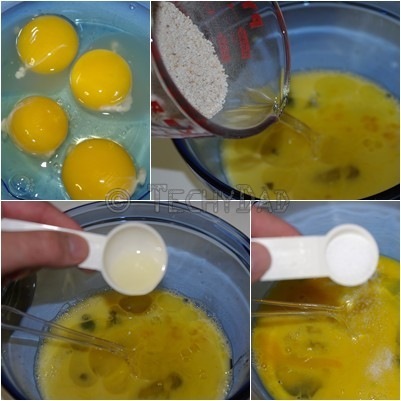 Then refrigerate for 15 minutes. Next, roll into balls and drop into boiling water (or broth). 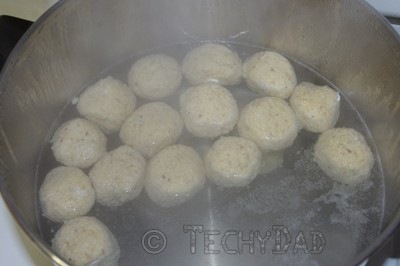 Simmer for 30 to 40 minutes, drain, and your matzoh balls will be ready to eat. 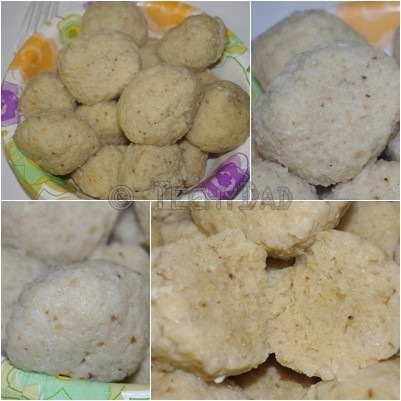 Freshly made matzoh balls are delicious and really take minimal effort. Given that we have a lot of matzoh meal left over, I think we’ll be making many more batches in the future. Great post! They do seem pretty simple. So if you are making matzoh ball soup do you just cook directly in the soup since it is a broth? Also, I hear a lot of discussion of the soup and whether the balls should float or sink – your thoughts? 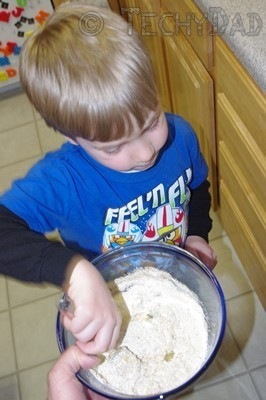 Can you add other flavorings to the matzoh ball dough when you make it – like herbs and spices? Do you use dipping sauce for them if they aren’t in a soup? Yes, if you’re making soup you can just toss them in the broth (with the chicken, veggies, or whatever else you have in there). They’ll cook and absorb some of the broth’s flavor. (We didn’t have broth for Passover, but will make them this way year-round.) 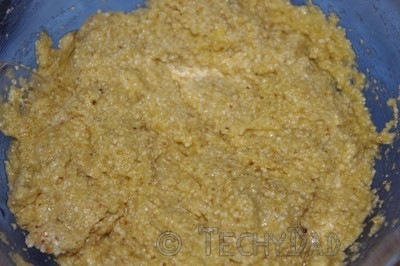 You could also add other flavorings/spices to the dough. JSL likes them plain, however, so that’s how I made them. We also didn’t use any kind of dipping sauce but don’t see why you couldn’t. As for the infamous hard/soft debate. I prefer them soft. I like them to be just shy of falling apart in the soup. B likes hard matzoh balls. The ones I made wound up hard for the most part, but tasted just fine.